Today we set out on a Tarpon hunt looking for the big girls migrating through our area this time of year. The weather report looked good with light wind and calm conditions…… Boy were they wrong! We were greeted with four foot seas offshore. We still went and looked, and we spent most of the morning with a bait in the water set up on the usual spots. Some people might think you’re crazy being out there in a flats boat, but we never got wet or took a wave over the bow or stern. I love Backcountry boats. Threads were around our bridges this morning and we managed enough for a tarpon trip in the am. 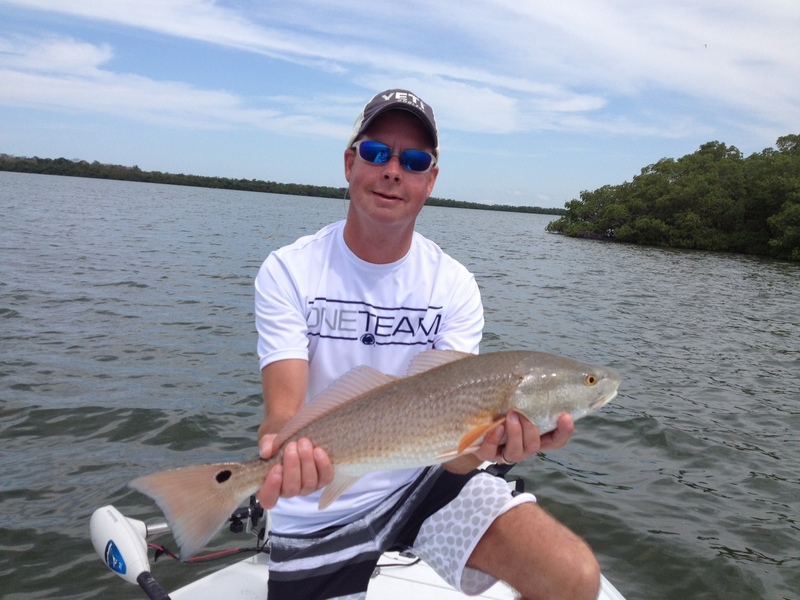 After they did not cooperate we used the same 6 inch baits to land a few nice reds. When bait throws you lemons, you make lemonade! Tomorrow is more of the same we will be looking for Tarpon again and maybe some Redfish and Snook in the afternoon. Stay tuned to see how it turns out!